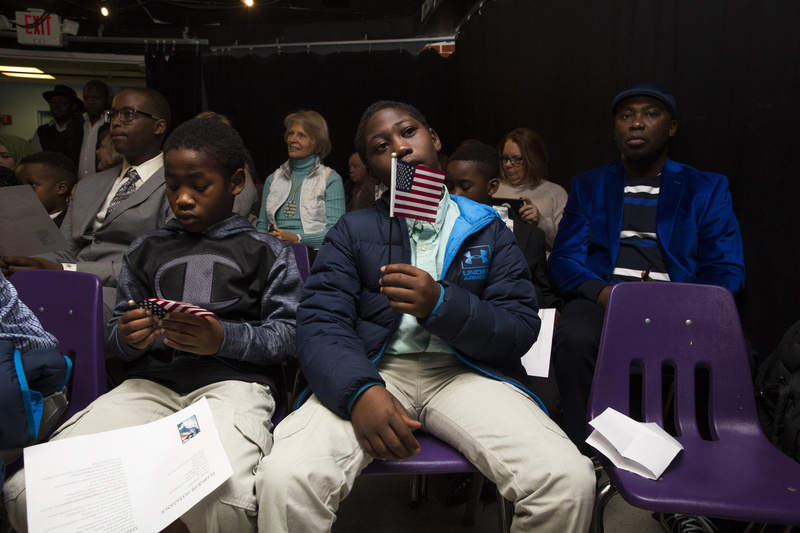 Joslin Joy, 10, who is originally from Burundi, after taking the oath of citizenship at the Children's Museum & Theatre of Maine in Portland on Friday. 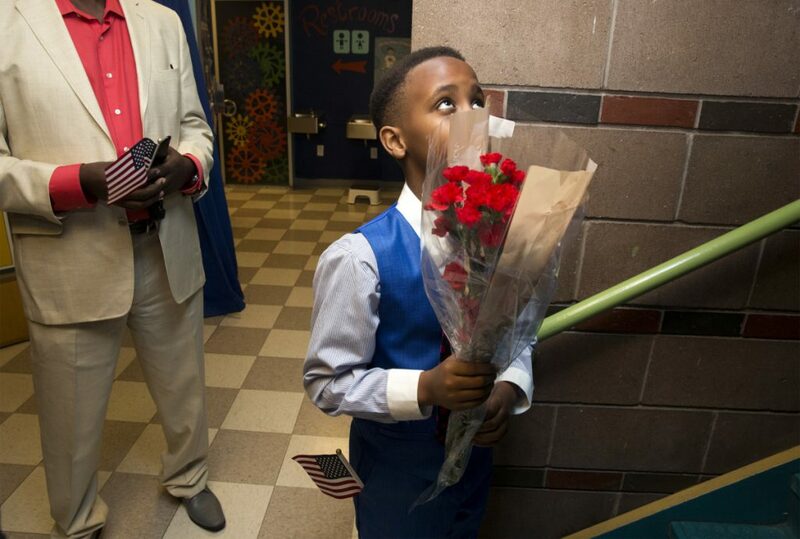 Joslin Joy, 10, holds flowers after a special citizenship celebration on Friday in Portland. 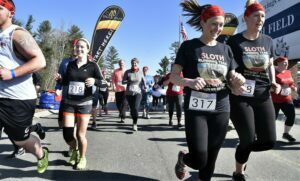 Such special ceremonies are held periodically to recognize and celebrate the naturalization of children who have derived citizenship through their naturalized parents or through adoption. 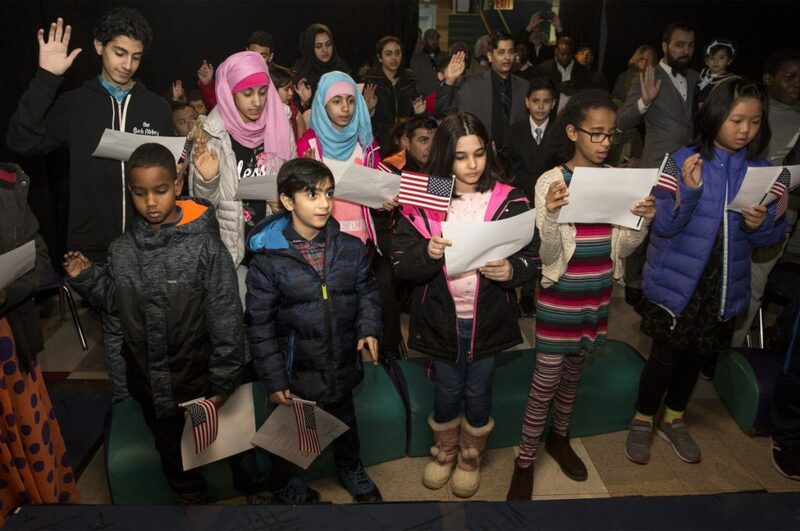 Children take the oath of citizenship in a special celebration for nearly 30 children on Friday in Portland. 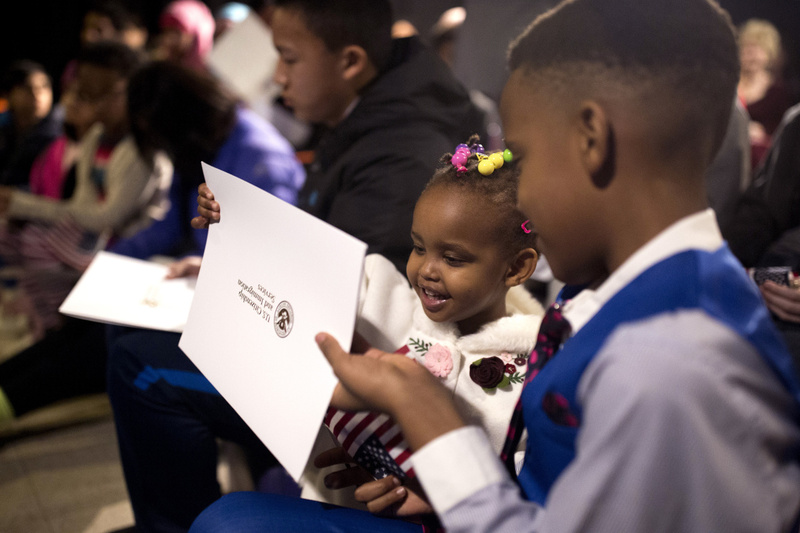 Mirabella Hope, 2, looks at the citizenship certificate of her brother Joslin Joy after a special citizenship celebration at the Children's Museum & Theatre of Maine on Friday. 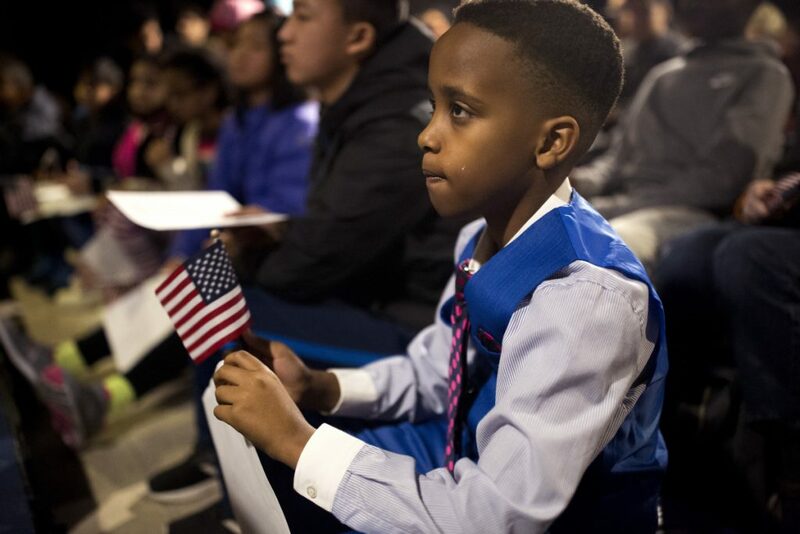 Mortada Abdalla, 9, right, and his brother Maaz Abdalla, 7, left, originally from Sudan, were two of four siblings that became citizens on Friday.